The experimentation proved to create somewhat of a local cult following. Fans descend on Dust Bowl’s two Turlock, California taprooms every time Dump Truck of the Gods joins the draft rotation. What they don’t drink onsite leaves in growlers and crowlers. The vibrant label, designed by Blindtiger Design out of Seattle, WA, pays subtle respect to Oliver. 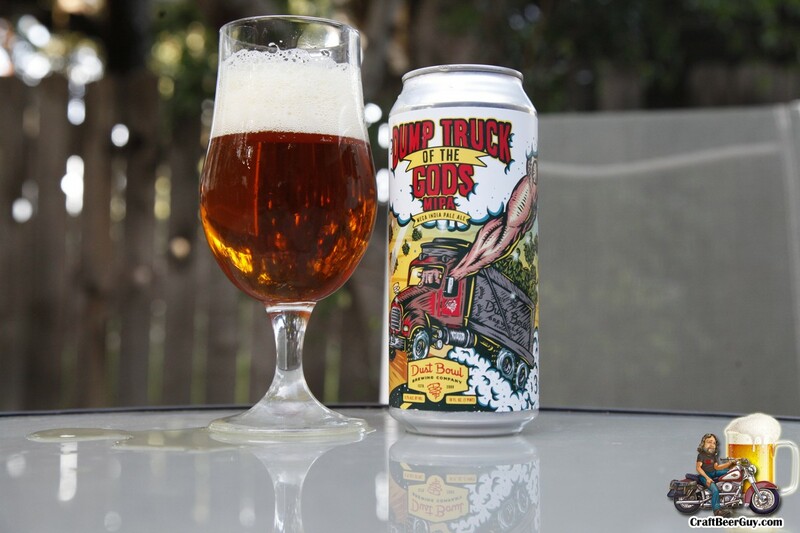 It showcases the brewmaster’s tattoos on an arm breaking through the sky to take control of the runaway dump truck overflowing with mythical hops. Dust Bowl Brewing Co. beers may be found throughout California, Nevada and Oklahoma. Consumers can locate their closest retailers at https://www.dustbowlbrewing.com/beers/beer-finder/. Dust Bowl Brewing Co. produced its first beer in May 2009. The company is owned by Brett and Karen Tate and Brett and Camy Honoré, who became the Tate’s business partners in 2011. The company built and moved its production to a 30,000 sq. ft. brewery and taproom, located in Turlock, California, in June 2016. Dust Bowl Brewing Co. beers are available in 5 and 15.5 gallon kegs along with selected styles in 22 oz. and 12 oz. bottles and 16 oz. and 12 oz. cans. Distribution includes Central and Northern California, parts of Southern California, Nevada and Oklahoma. The craft brewery showcases a wide variety of its beers at its two Turlock, California taproom locations, the Brewery Taproom and the Downtown Taproom. A third taproom in Monterey, California is slated to open in 2019. More information may be found at www.dustbowlbrewing.com. Cheers!